In this weeks blog I will be talking about a cool HTML5 app framework that has been gaining popularity and the community around it is growing rapidly: the Ionic framework. 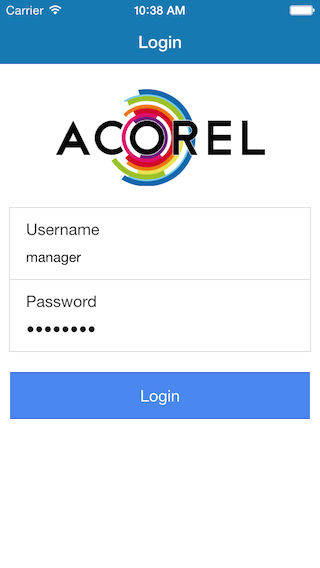 The Ionic AngularJS and a set of predefined UI components you can quickly build HTML5 hybrid apps. 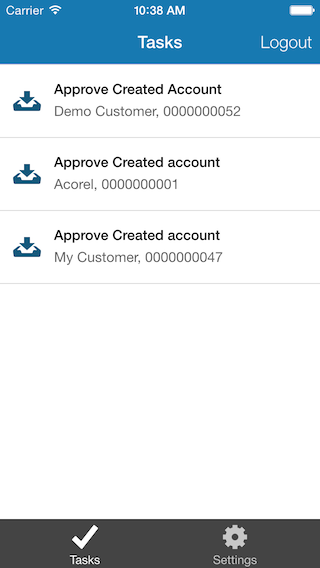 In this blog I will describe an app I created using an existing Ionic starter template with connection to a SAP Netweaver Gateway service. Ionic has a built in webserver to test your applications. You can use the following command to test the template app, the default url to test your app in the browser is http://localhost:8100. To show a list of workflow tasks in the app I modified the template project a bit. The template app has three tabs / views in it. I’m going remove the first and use the friends view to show the workflow tasks. 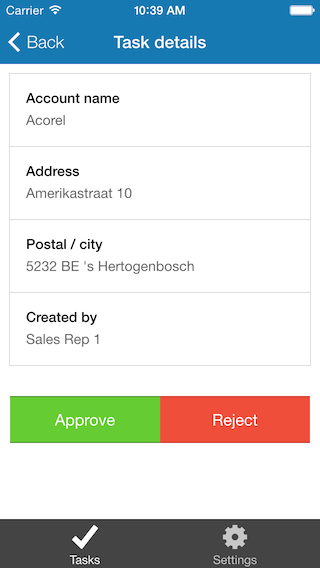 The friends view already contains an ionic list so it’s easy to reuse. It also has a service that it uses called “Friends”, that we can also reuse and modify to fit our needs. The SAP Netweaver Gateway service that i’m going to use is the standard SAP Workflow service /IWWRK/WFSERVICE that I have already set up in our CRM / Gateway system. Details about that service can be found here. I did the customizing for this service to only return tasks of type “Approve Created Account” and implemented a BADI (/IWWRK/ES_WF_CUST_EXT_IB) to get some additional data about the account.